McCartney and Lennon formed one of the most influential and successful songwriting partnerships and wrote some of the most popular songs in the history of rock music. After leaving The Beatles in 1970, McCartney launched a successful solo career and formed the band Wings with his first wife, Linda Eastman, and singer-songwriter Denny Laine. He has worked on film scores and classical and electronic music, released a large catalogue of songs as a solo artist, and taken part in projects to help international charities. McCartney is listed in Guinness World Records as the most successful musician and composer in popular music history, with 60 gold discs and sales of 100 million singles. His song "Yesterday" (credited to Lennon/McCartney, but composed entirely by McCartney) is listed as the most covered song in history?by over 3,500 artists so far?and has been played more than 7,000,000 times on American television and radio. Wings' 1977 single "Mull Of Kintyre" became the first single to sell more than two million copies in the UK, and remains the UK's top selling non-charity single. According to britishhitsongwriters.com, he is the most successful songwriter in UK singles chart history, based on weeks that his compositions have spent on the chart. Following the death of his first wife Linda in 1998, McCartney married Heather Mills in 2002. They divorced in 2008. McCartney now has Nancy Shevell as his partner. 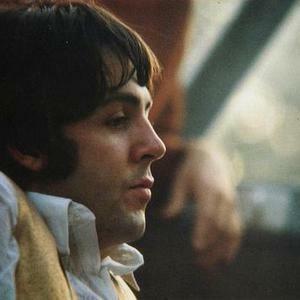 McCartney practices meditation, sometimes still using the mantra that the Maharishi Mahesh Yogi gave him when The Beatles went to a transcendental meditation seminar in 1967. McCartney is an advocate for animal rights, vegetarianism, and music education; he is active in campaigns against landmines, seal hunting, and Third World debt. He is a keen football fan, supporting both Everton and Liverpool football clubs. His company MPL Communications owns the copyrights to more than 3,000 songs, including all of the songs written by Buddy Holly, along with the publishing rights to such musicals as Guys and Dolls, A Chorus Line, and Grease. McCartney is one of Britain's wealthiest men, with an estimated fortune of ?750 million ($1.2 billion) in 2009.